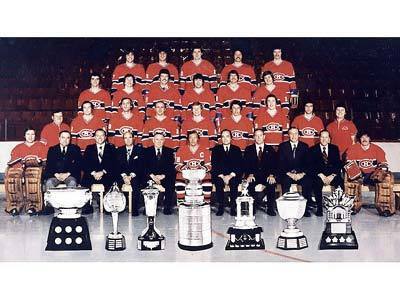 The 1977 Stanley Cup Final championship series was contested by the Boston Bruins and the defending champion Montreal Canadiens. The Bruins were making their first appearance in the Final series since their loss in the 1974 Final. The Canadiens would win the best-of-seven series four games to none, to win their second straight Stanley Cup. Montreal defeated the St. Louis Blues 4–0 and the New York Islanders 4–2 to advance to the final. Boston defeated the Los Angeles Kings 4–2 and the Philadelphia Flyers 4–0 to make it to the final. Jacques Lemaire scored three game-winning goals, including the Cup winner in overtime. Guy Lafleur won the Conn Smythe Trophy for scoring 9 goals and 17 assists during the playoffs. Montreal proved to be unstoppable in their quest for a second straight Stanley Cup. They won a record 60 games in the regular season, including an incredible 33-1 home record! The playoffs were no different. Montreal rolled over the Bruins in the finals, taking the Cup in a four-game sweep. 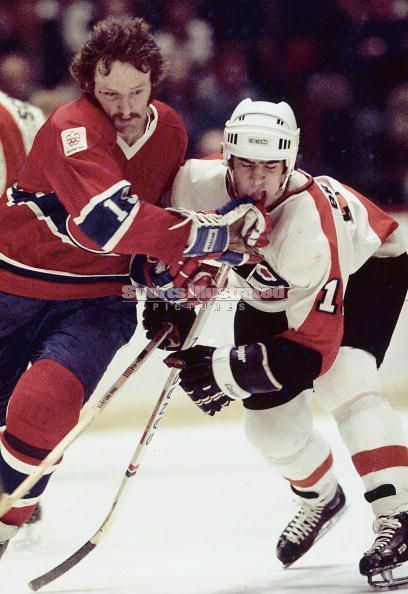 Guy Lafleur led the playoff-scoring race tallying 26 points in 14 games. 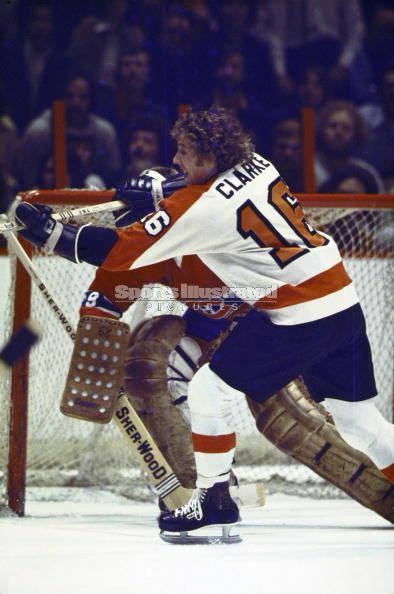 Come season end he was awarded the Conn Smythe, Hart, Art Ross and Pearson trophies. Defenseman Larry Robinson won the Norris Trophy, Ken Dryden and Michel Larocque shared the Vezina and coach Scotty Bowman won his first Jack Adams Award. The spring of 1977 had a sense of deja vu to it. The Blues fared no better than the Blackhawks had a year earlier, as Montreal cruised to the semis in just four games, outscoring the Blues 19-4. Like a year earlier, the only bumps on Montreal’s road to Lord Stanley’s Cup came courtesy of the New York Islanders, a youthful team on the rise led by youngsters Denis Potvin and Bryan Trottier. Montreal took an early lead with 4-3 and 3-0 wins before dropping game three on Long Island. Momentum shifted to the visitors for the rest of the series with Dryden’s second shutout of the semis, the 4-0 victory putting Montreal a game away from the Finals. The Isles briefly postponed the inevitable with a 4-3 overtime victory, but Montreal won last game of the series 2-1 to go on to the Finals against the Boston Bruins. 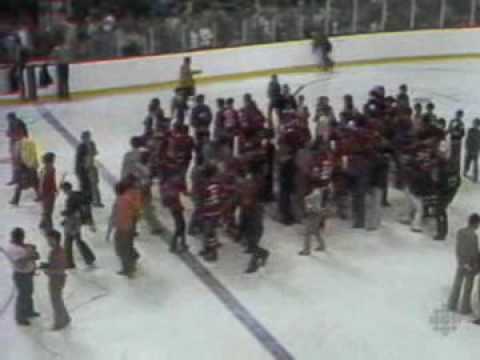 Opening with a 7-3 win, Montreal reverted to defense to take the second game, and Ken Dryden closed the door to post his third playoff shutout in a 3-0 whitewashing. Playing at home didn’t change the Bruins’ fortunes. Allowing their guests a three-goal lead before replying, they ended the night on the losing end of a 4-2 decision in Game 3. Boston took the fourth game into overtime with the teams tied at a goal apiece. Four and a half minutes later, Jacques Lemaire ended the series with his third game-winning goal of the postseason as the Montreal Canadiens hoisted a second Stanley Cup in as many years to cap their dream season.